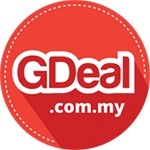 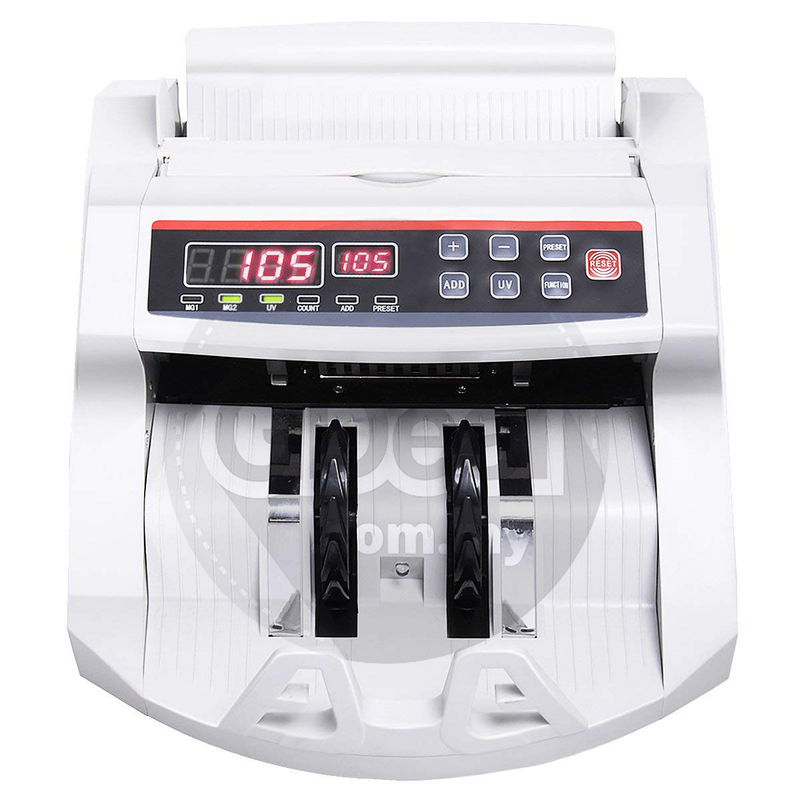 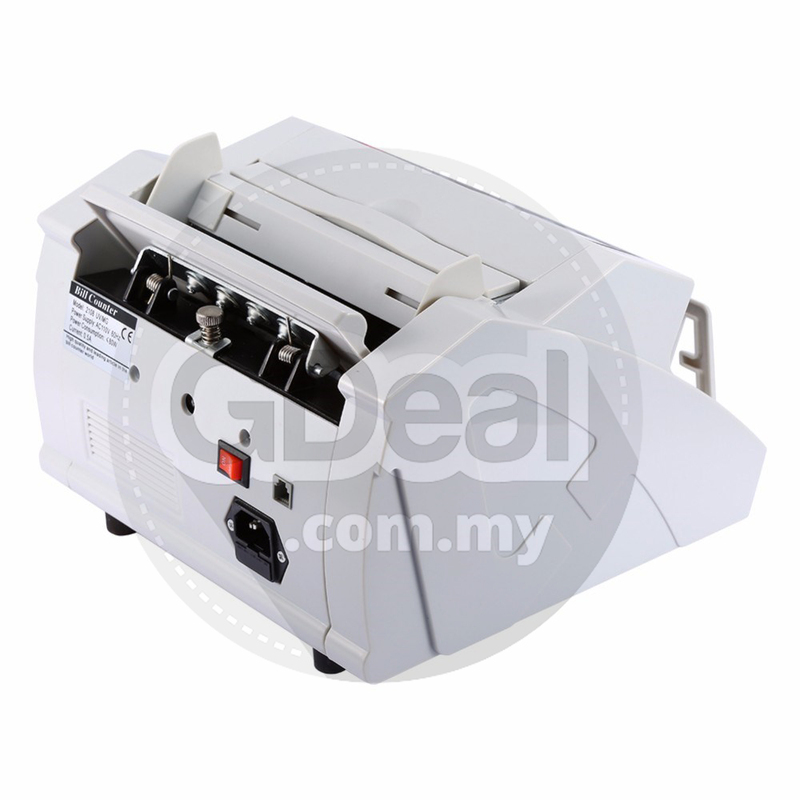 【Accurate Bill Counting】Goplus professional digital bill counter is designed with 13 pcs rubber wheel to make sure count money accurately and fluently. 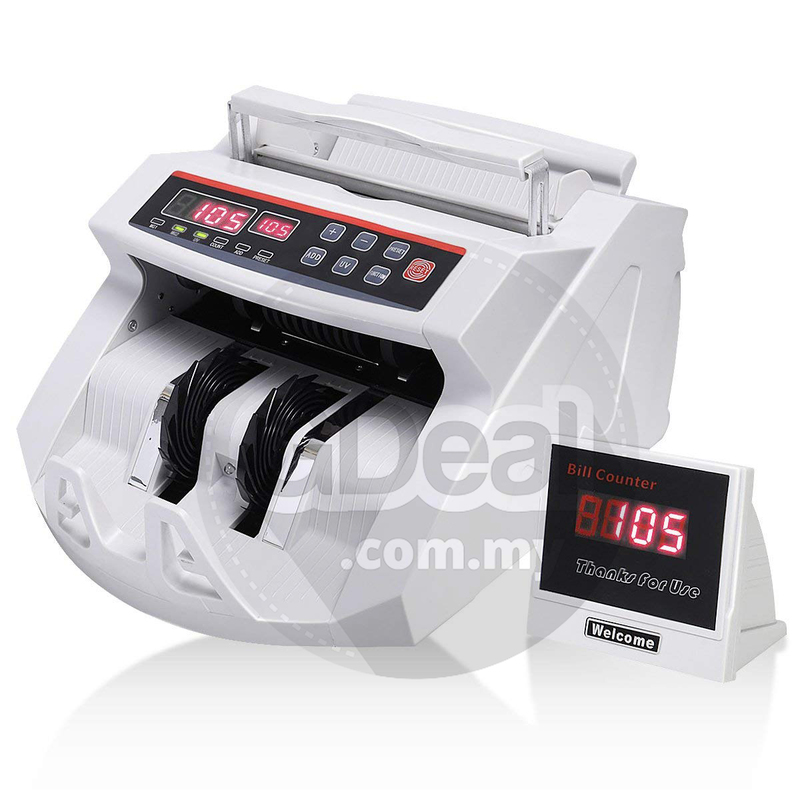 Please be aware that this money counter does not add bills or detect denomination. 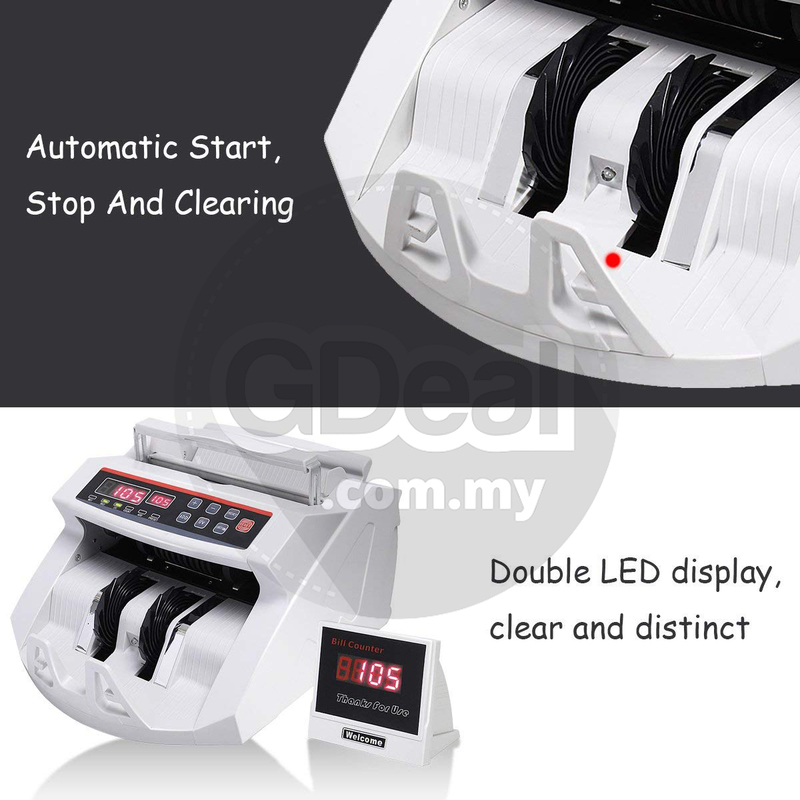 For example: If you put a stack of (10) $10 and (5) $20 will read as (15), NOT $200. 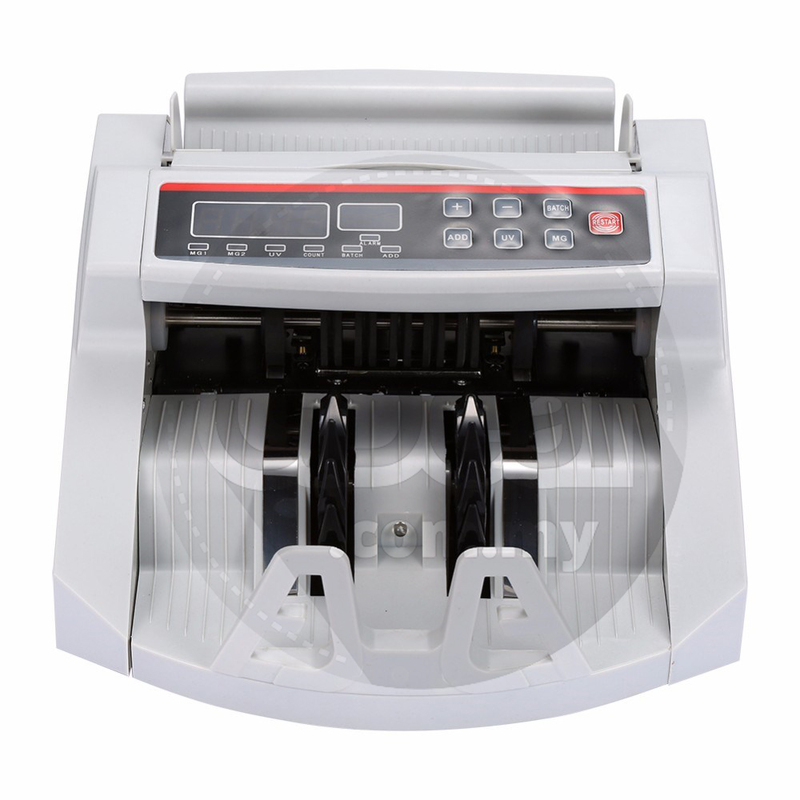 【Quiet & Efficient】With UV and MG anti-counterfeit detection allow system to work quietly,accurateand precise sorting with a miss counterfeit detection rate of 1/700000.Goplus Bill quickly counts up to 900 bills per minute, an adjustable hopper ensures easy loading. 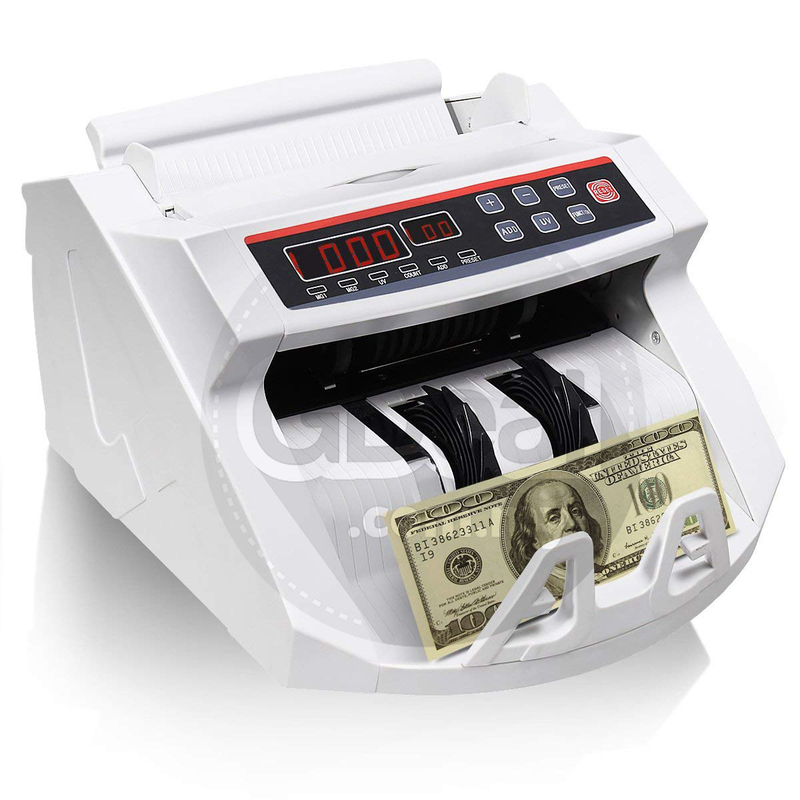 【User-friendly】 Counts how many bills in the stack fast and accurate. 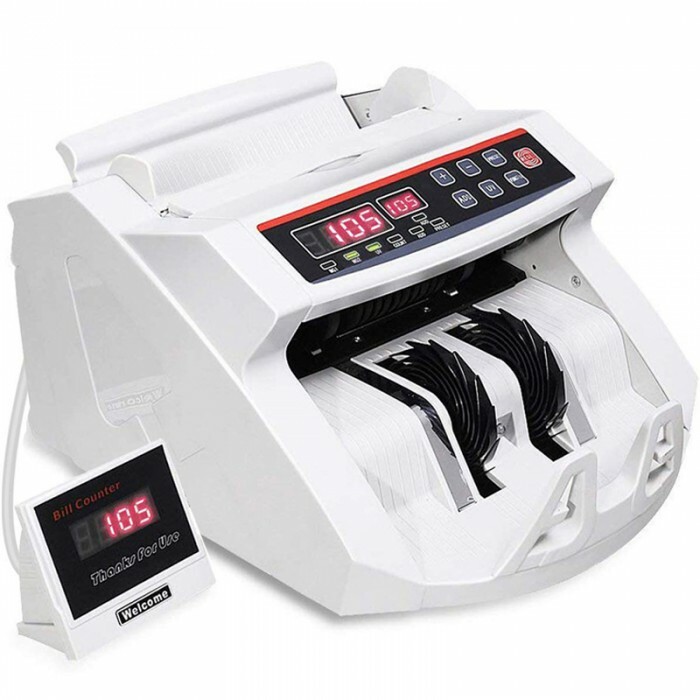 Easy-to-read LED display and with batching, adding and self-examination functions.Dust-proof sensors are easy to clean, maintain highly accurate for many years. 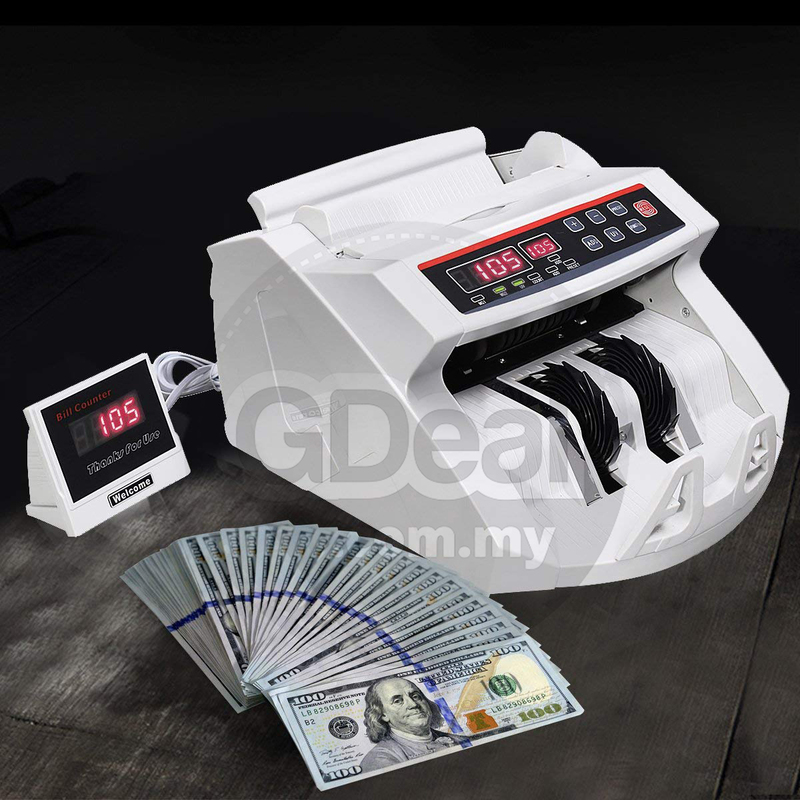 【Suitable for Worldwide Currency】Goplus bill counter is suitable for most currencies in the world. 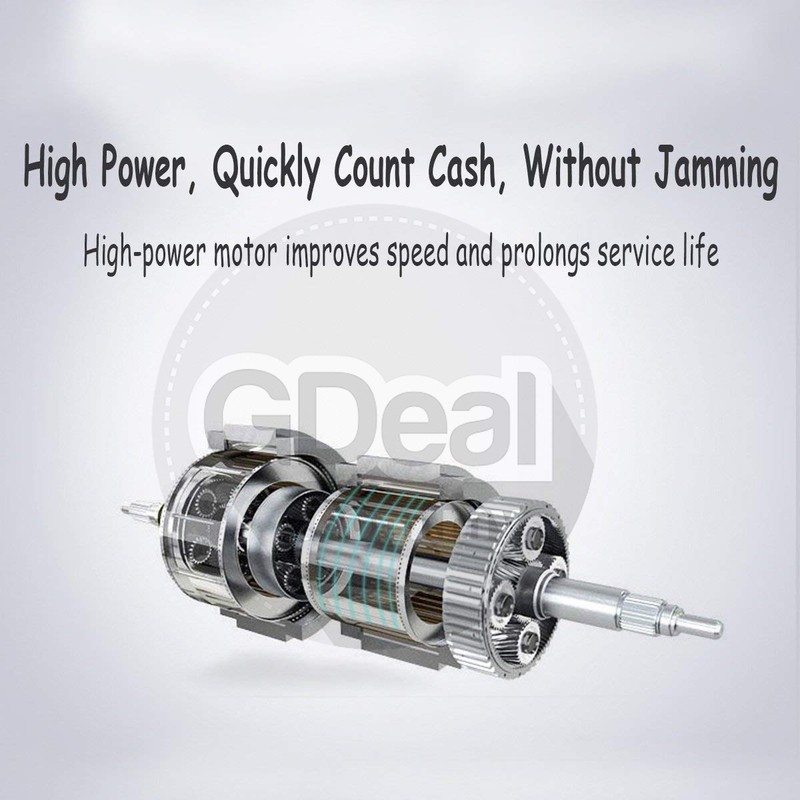 We offer you 100% risk-free satisfaction guarantee to let you buy with confidence. 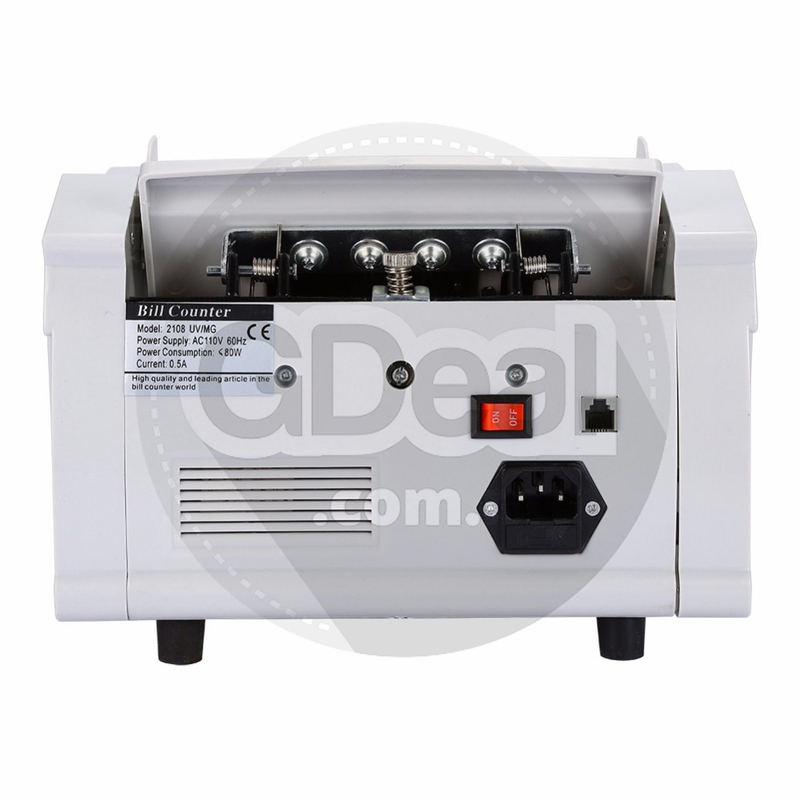 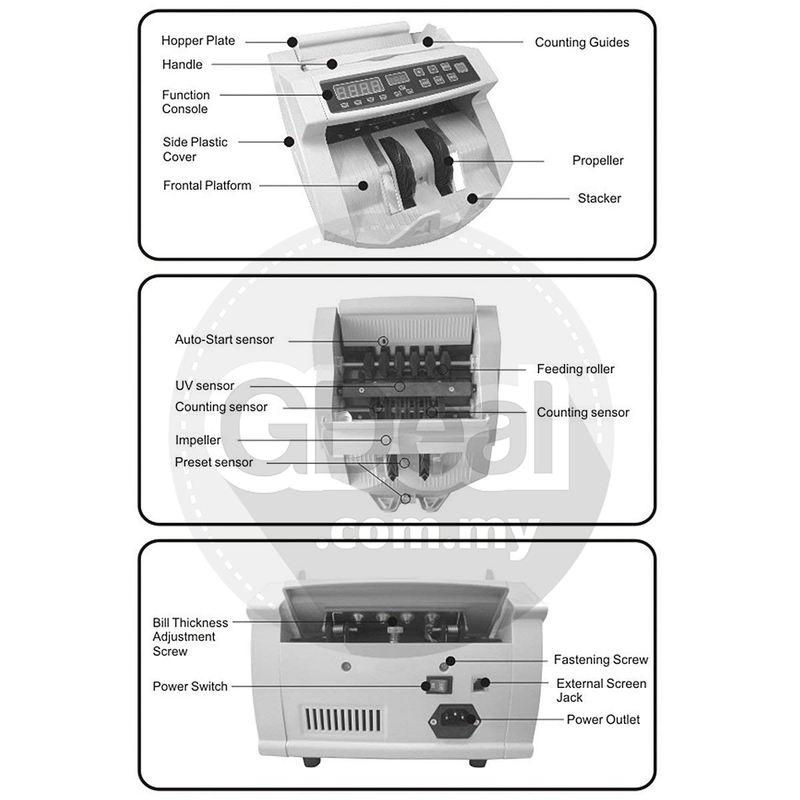 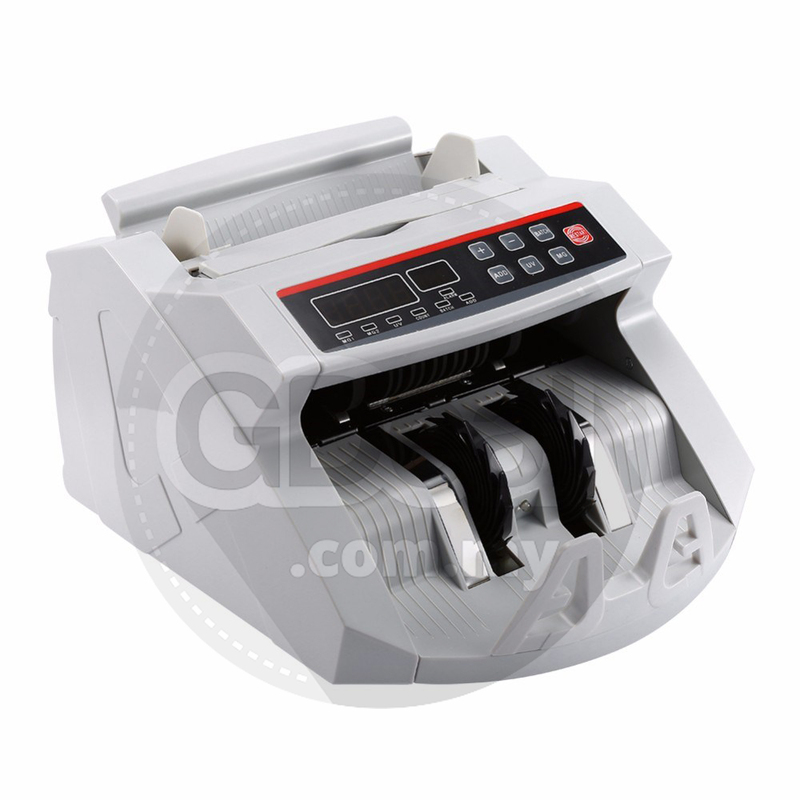 We are quite sure that you will be super-impressed with DURABILITY,PORTABILITY and HIGH QUALITY of our money counter.